Amazon just announced a brand new product lineup that was chocked full of new devices that look outstanding. Amazon’s Echo and Fire TV lineups were already class leaders, but the company managed to improve upon them in a number of key areas. Everything Amazon announced looks great, but there are three different products in particular that you should consider preordering if you want to ensure that you get them on launch day later this month. One is the All-New Echo, a nifty redesigned Echo that’s more compact and only costs $99.99. The second is the Echo Plus, which is similar to the original Amazon Echo but with upgrades. 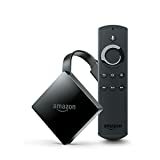 Last but definitely not least, we have the All-New Fire TV with 4K Ultra HD and Alexa Voice Remote, which is basically a Fire TV Stick on steroids!